Stripes are great for summer. I especially love navy and white stripes. Because of the fact that both the stripes and my capris were navy, I decided to add some color by pairing this outfit with my pink, sparkly Toms. All parts of my outfit are pretty casual, so they go well together. I wore this outfit to lunch with my great-grandparents, my grandparents and my great aunt and uncle. 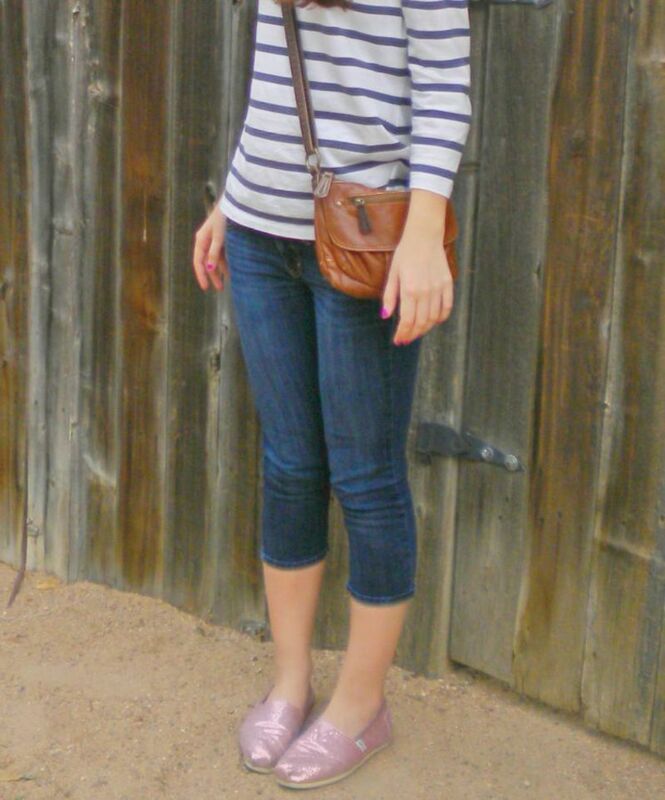 My striped shirt is Liz Claiborne, my capris are American Eagle, my shoes are Toms, and my cross-body bag is Bueno.